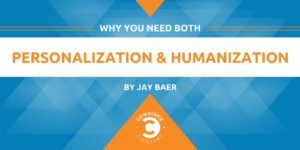 Last week, a student in my Content Marketing Master Class (we’re currently taking email addresses for the next cohort) asked about the difference between personalization and humanization. An excellent and important question, as personalization and humanization are both foundational elements of modern marketing success. Both are valuable to companies and organizations, but for very different reasons. 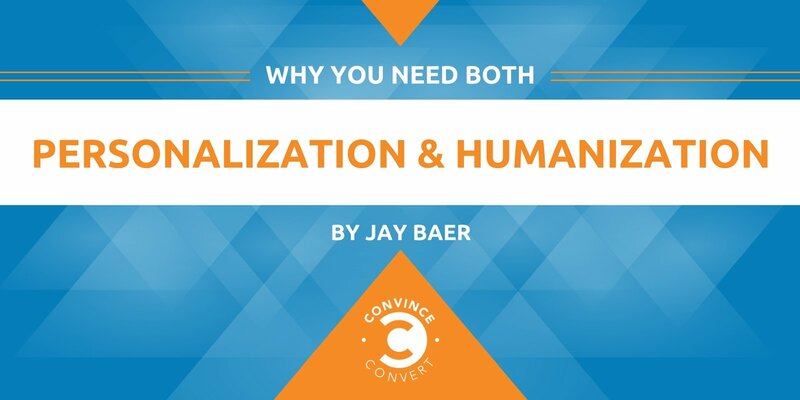 Personalization and humanization are more important than ever for two reasons. First, consumer trust in companies and institutions is waning. Humanization—in particular—creates trust bridges by emphasizing that the brand in question isn’t a multi-national cyborg, but rather a collection of real people with personalities, kids, and pets. Second, competitive pressure is extraordinary, and differentiators are scarce. In many categories, the true differences between the first, second, and third-largest players in the market are fundamentally zero. What’s the difference between Avis, Hertz, and Budget? Relevancy through personalization can be THE difference maker in these industries, which is why you see so much focus on marketing cloud providers like IBM, Oracle, Salesforce, Sitecore, Adobe and the rest. Further, the entire, explosive field of Account-Based Marketing being led by companies like Terminus is based on the premise of personalization yielded improved sales results in B2B. According to Infosys, 74 percent of customers feel frustrated when website content is NOT personalized. Done well, personalization feels like magic. When an e-commerce home page shows you only products that interest you, that’s almost never dumb luck. It’s personalization at work. And when content is massively tailored to your specifications, that’s often driven by a robust, underlying data set too. Even the famous Coca-Cola case study of Share A Coke—including first names on bottle—is a strong instance of the power of personalization. 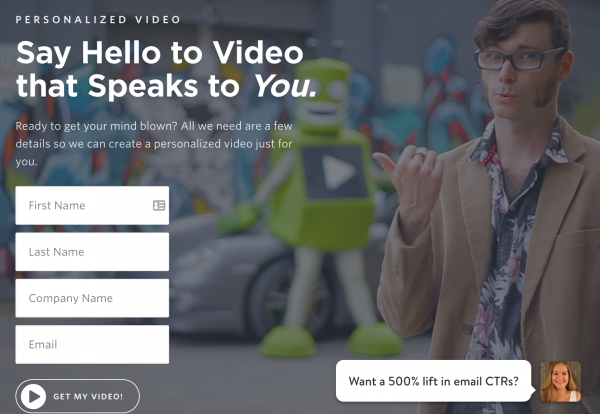 One of my favorite ways to imagine what personalization can do is via Vidyard’s personalized video tool. Want to freak out a little? Visit this link, enter your information, and then check your email. Bam! Personalized video, delivered in an instant. Done well, humanization makes you WANT to support a brand, because you feel like you know and trust the people behind the logo. For Father’s Day, my wife and children bought me a sweet hammock from Nagshead Hammocks. It creates naps like Nic Cage creates terrible movies. In the box the hammock was delivered in was a card with a simple call-to-action to meet the person who created it. 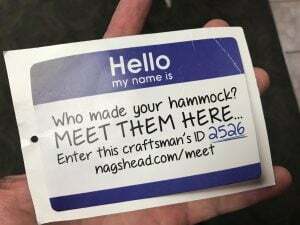 Being a marketing nerd and a big fan of humanization, I visited the website and discovered that Brandt made my hammock. He coaches his sons’ baseball team and does a lot of fishing in the Carolinas. Now, when I’m in the hammock, I sometimes think of Brandt and what he’s up to. Knowing a little about Brandt changes how I think about his company, just like this example changed the way I thought about grouper. One of my favorite humanization examples is from Simms, a company that makes high-end fishing waders. I spoke recently at ICast, a big event for the sport fishing industry, and used this example in my talk. I don’t know all that much about fishing waders. But after watching this video, I might buy some just to support the craftsmen and craftswomen at Simms, who are justifiably proud of their work. This is humanization at its finest. Every company and every organization has stories like these to tell. And every company and every organization can mine data (and add common sense) to insert smart personalization at key consumer decision points.